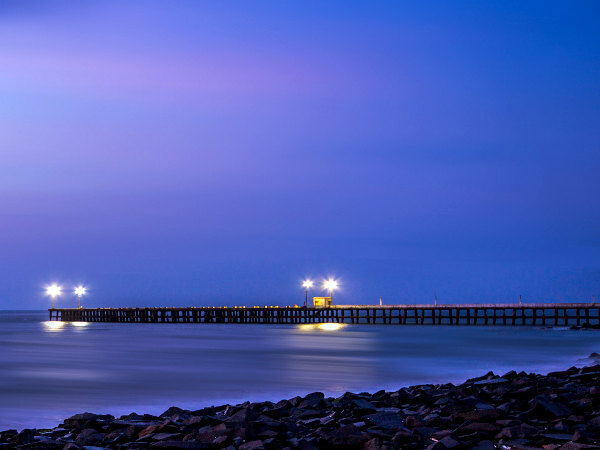 The French colony of Pondicherry, or Puducherry, rose to be a popular tourist destination among those who enjoy varied culture as the place is a blend of both Indian and French culture. Though a peaceful place when compared to most of the top rated tourist spots In India, Pondicherry has always attracted tourists with its French colonies and ashrams. To experience the beauty of solitude, beaches to relax and take a stroll, the French influence on the buildings and other structures make the trip worthwhile. Let's take a look at some interesting ways to tour through Pondicherry, making the trip all the more worthwhile. Pondicherry's architectural heritage has a strong influence of both Tamil style of architecture and the French architectural style. The combination of the elements of both these styles can be seen in the buildings and other monumental structures of Pondicherry. Here's a unique attraction that boasts of a surprisingly calm atmosphere that has attracted tourists and travellers from around the world. Interestingly, the place has nationalities from over 50 countries who are travellers turned residents. Pondicherry enjoys a vibrant culture, with its cultural aspects being adopted from the neighbouring states. The town has its cultural influence from the culture of Portuguese, Tamil Nadu, Andhra Pradesh and Kerala. With its vibrant culture, Pondicherry boasts of a rich aura when it comes to festivities and celebrations. The multi-cultural aspect of the town makes each festival unique and colourful. Some of the major celebrations that take place here include French Food Festival, International Yoga Festival, Pongal, Masi Magam Festival and Panguni Uthiram Festival. The mouth-watering blend of Tamil and French cuisine makes it to a sumptuous feast. Some of the dishes you should try here are Tandoori potato, Soya dosa, Stuffed cabbage, Coconut curry, Italian baked beans and Assad. There are some unique items that you can shop at these markets in Pondicherry. The Nehru Street and M. G. Road are buzzing with stalls that sell creative items like handmade paper, paper mache products like dolls, fine pottery and other arts & crafts material. Near the Gandhi statue, you may find outlets that sell ashram products. If you're here on a Sunday, do visit the Sunday Market that turns to a Shopper's Paradise. Pondicherry offers ample options for those who wish to enjoy the beauty and charm of the city on their bikes. Rent a bike and ride through the colonies, feeling the fresh air brush against you as you glide through the cobble-stoned streets.